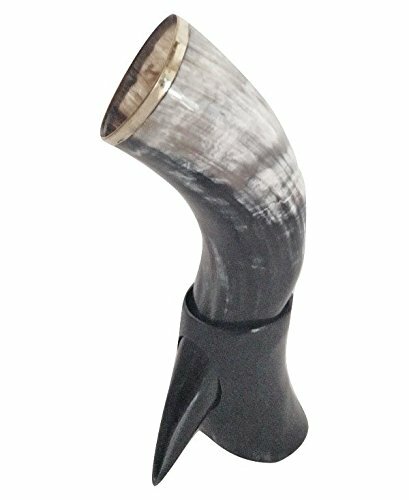 AleHorn Handcrafted Viking Drinking Horn - Moar Stuff - You don't need it but you know you want it. $37.99 $45.99	Get Your Stuff! Are you into the History Channel’s Show Vikings? If so, you know that all real warriors (even the weekend variety) need a Viking drinking horn from which to suckle the nectar of the gods after a hard day’s pillaging. 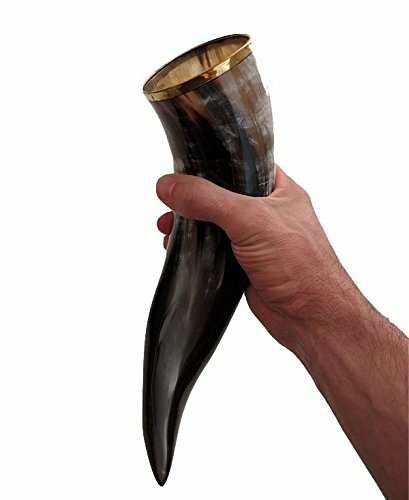 Whether your favorite drink be wine, ale, or mead (if you haven’t tried mead, do so soon) this 12″ (30.5cm) long horn will ensure your man-sized thirst gets quenched in one gulp. 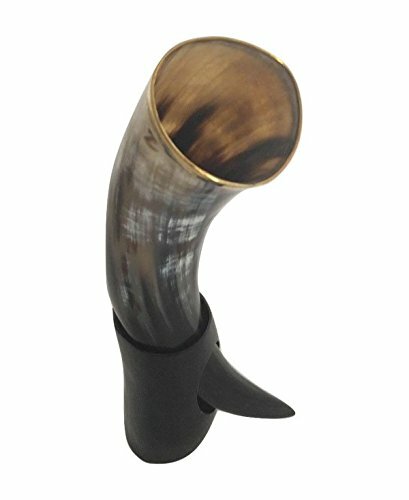 This drinking horn is hand crafted real bovine horn (ethically sourced). Unlike so many cheap drinking horns, this is a quality product and not made of glass or plastic. So, unless you’re really a viking or live on a cattle farm, you’re not going to find a better drinking horn anywhere. It also comes with a convenient stand to proudly display your horn on a shelf or mantle. Real bovine horn with a polished Finish.